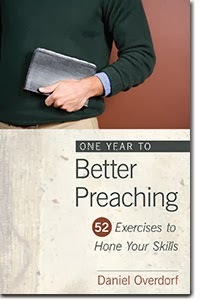 BibleX: What Drives Your Preaching Schedule?
" . . . a preaching schedule driven by the Bible rather than by perceived needs will over the long haul, stimulate greater maturity in a church. Substantial long-term growth requires a steady diet of the Word. Rather than beginning with our people's needs, therefore, the majority of our preaching schedule should balance the biblical diet we offer our listeners. Then, as we submit to the Word and the Spirit, giving these priority over our hobby horses, creativity, and even our desire to meet people's felt needs, God will permeate our preaching and perform whatever work He needs to perform in listeners' hearts and lives."